Ghost OG is a special phenotype of OG Kush. She is highly sought after for her perfectly balanced cerebral and body effects. Ghost OG Kush is often described as both potent and non-intrusive at the same time. 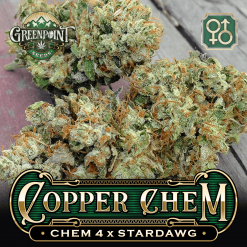 Ghost OG has won herself many awards throughout the years and is a renown strain among consumers and growers alike. 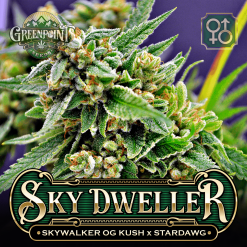 Her strong citrus smell and crystal-covered buds hint at this strain’s extremely potent genetics. 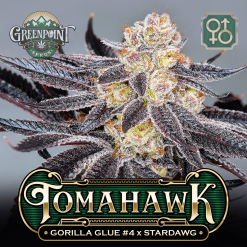 This particular cut is thought by many to be the mother of all OG Kush strains. 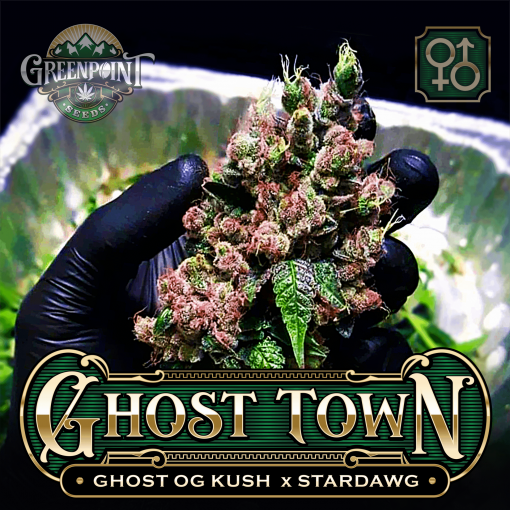 Ghost OG first appeared in the OverGrow.com forums (one of the first cannabis forums). 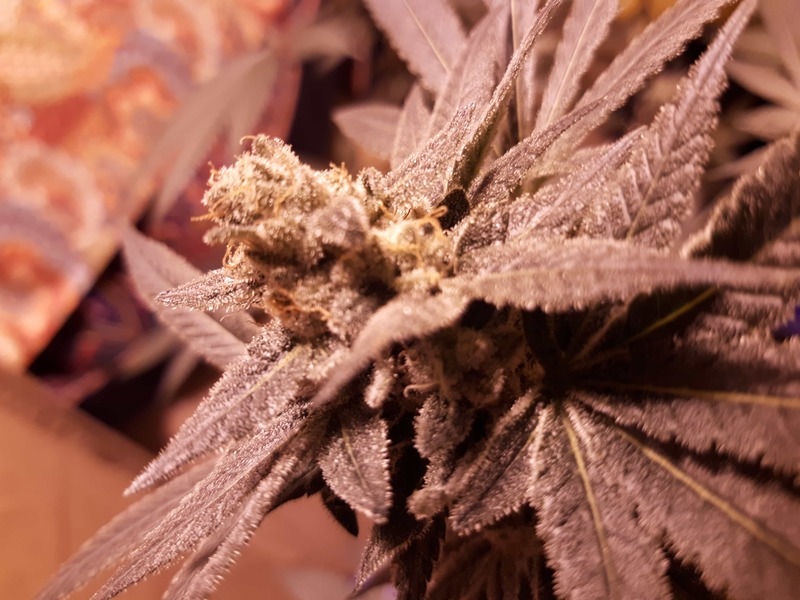 The Ghost OG Kush cut came from an Over Grow member named ORGNKID. ORGNKID sold an O.G. cut to an OverGrow forum member named “Ghost” who further distributed the cut to others. 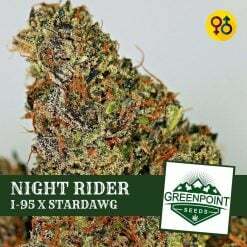 Nobody knows the exact genetics of the strain, but it is believed to be originally from the Kush Mountains in Afghanistan and Pakistan. A true Kush strain. The Ghost OG strain induces strong cerebral euphoria, creates laughter and is great for social occasions. She increases her energy and creativity at first, followed by full body relaxation. She is a useful pain control strain and is perfect for relieving stress while stimulating the appetite. The Ghost OG effects are immediate and potent, but not too overwhelming. Ghost Town has super dense buds that are extremely hairy with a sweet piney aroma. Ghost OG buds are drenched heavily with trichomes giving it the appearance of snow-capped mountains. True Ghost OG can be grown both indoors and out. She needs between 53-63 days to flower. 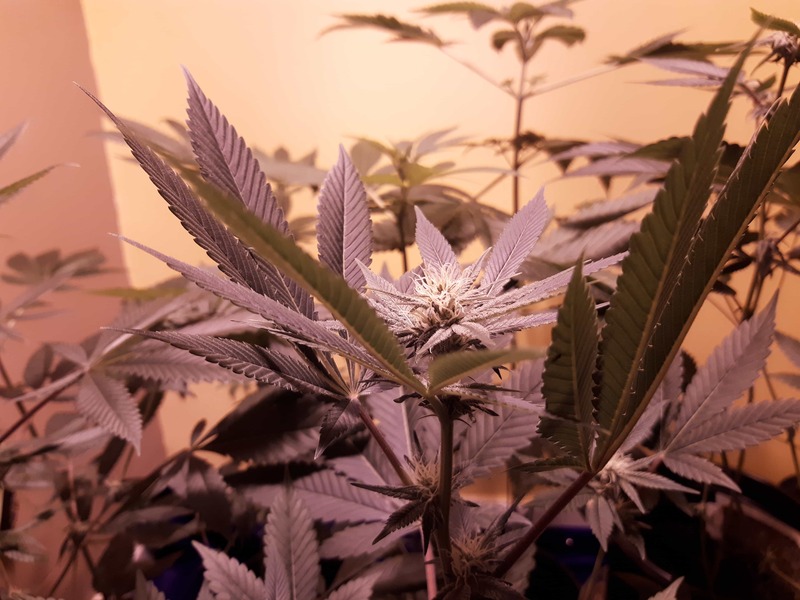 Pay attention to her lower branches and make sure they stay well pruned on the bottom to allow the top to fatten up. Top early and often as she will continue to grow vertically after flipping the lights to a 12/12 cycle. She’s best grown utilizing a SCROG-style setup. Expect large yields and huge swollen calyxes. These are connoisseur grade seeds.\\ So grab a pack of two ,when you can, they sell out quick. Grew this outdoors in the cold north. Did really well considering cold, humid/rainy weather, I guess the Stardawg hardens everything. Awesome flavors and scents, of lime/fruity, fried onions, chlorine, moss/musty forest, very delicious and more ish. Potent, very relaxing, great mind and body feeling, ups the mood, but with a kind of trippy head, no anxiety as far as I can remember, it relived my PTS, which is not common with for example the lines available on the street here. Very resinous, if cared for and kept out of rain, it will and can definitely stand up to properly cultivated indo’, in fact I would choose this all day, instead of commercial, immature indoor grown. Maybe I’ll find the pix one day… Purple plant, not entirely, striking/striping on the bracts, very beautiful. Grew easily, with a healthy and leggy stretch. Tight flowers, golf ball-like, as some describe some Kushes.